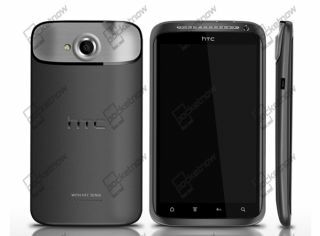 HTC to reveal two quad-core smartphones at MWC 2012? Will HTC have the edge with the Edge? HTC is looking to reinvigorate its smartphone line-up with not one but two quad-core smartphones, which it will show off at this year's Mobile World Congress. This is according to Digitimes, which is reporting that there will not just be the HTC Edge on display – a phone that's said to have Nvidia's Tegra 3 processer inside – but a number of new smartphones packing some quad love. It believes this is the case as investment bankers JPMorgan Chase have upgraded the stock of HTC to 'overweight' – which is kind of like saying their stock is phat in hip-hop lingo – in preparation for the company to release a possible brace of quad-core devices. JP Morgan believes that if HTC does release a number of high-end smartphones in February (MWC) and brings them to market in April then it will have won a game of one-upmanship against its rivals. Now, we are not sure if JPMorgan has been keeping that up to date with tech news, as HTC may well release at least one quad-core smartphone, but back in November it was reported that LG, Samsung and Motorola would likely do the same thing. HTC had been heralded as the brightest star in the smartphone world when the HTC Desire was released in 2010, but since then a number of manufacturers have managed to get their mobile phone shenanigans in order and not just catch up with the company but overtake it in the quality stakes. With this in mind, HTC will be hoping that whatever it does release in 2012 will be able to wow smartphone consumers once more.